• High-resolution computed tomography. This type of CT scan uses very thin slices (less than one-tenth of an inch), which are effective in providing greater detail in certain conditions such as lung disease. • Helical or spiral computed tomography. During this type of CT scan, both the patient and the X-ray beam move continuously, with the X-ray beam circling the patient. The images are obtained much more quickly than with standard CT scans. The resulting images have greater resolution and contrast, thus providing more detailed information. • Ultrafast computed tomography (also called electron beam computed tomography). This type of CT scan produces images very rapidly, thus creating a type of “movie” of moving parts of the body, such as the chambers and valves of the heart. This scan may be used to obtain information about calcium build-up inside the coronary arteries of the heart. • Computed tomographic angiography (CTA). Angiography (or arteriography) is an X-ray image of the blood vessels. A CT angiogram uses CT technology rather than standard X-rays or fluoroscopy to obtain images of blood vessels, for example, the coronary arteries of the heart. • Combined computed tomography and positron emission tomography (PET/CT). The combination of computed tomography and positron emission tomography technologies into a single machine is referred to as PET/CT. PET/CT combines the ability of CT to provide detailed anatomy with the ability of PET to show cell function and metabolism to offer greater accuracy in the diagnosis and treatment of certain types of diseases, particularly cancer. PET/CT may also be used to evaluate epilepsy, Alzheimer’s disease, and coronary artery disease. Studies show that 85 percent of the population will not experience an adverse reaction from iodinated contrast; however, you will need to let your doctor know if you have ever had a reaction to any contrast dye, and/or any kidney problems. A reported seafood allergy is not considered to be a contraindication for iodinated contrast. If you have any medical conditions or recent illnesses, inform your doctor. The effects of kidney disease and contrast agents have attracted increased attention over the last decade, as patients with kidney disease are more prone to kidney damage after contrast exposure. If you are pregnant or think you may be pregnant, you should notify your health care provider. If you are claustrophobic or tend to become anxious easily, tell your doctor ahead of time, as he or she may prescribe a mild sedative for you before the procedure to make you more comfortable. It will be necessary for you to remain still and quiet during the procedure, which may last 10 to 20 minutes, on average. 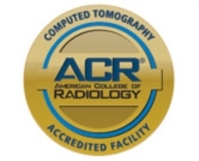 CT scans can be performed on an outpatient basis, unless they are part of a patient’s inpatient care. 1. When the patient arrives for the CT scan, he or she will be asked to remove any clothing, jewelry, or other objects that may interfere with the scan. 2. If the patient will be having a procedure done with contrast, an intravenous (IV) line will be started in the hand or arm for injection of the contrast medication. If the patient is over 50 years of age, a blood test will be performed called a creatinine. This is to check the patient’s kidneys to make sure they are filtering properly. The IV contrast dye is filtered through your kidneys and we want to make sure they are functioning properly. For oral contrast, the patient will be given medication to swallow. 3. The patient will lie on a scan table that slides into a large, circular opening of the scanning machine. 4. The CT staff will be in another room where the scanner controls are located. However, the patient will be in constant sight of the staff through a window. Speakers inside the scanner will enable the staff to communicate with and hear the patient. The patient will have a call bell so that he or she can let the staff know if he or she has any problems during the procedure. 5. As the scanner begins to rotate around the patient, X-rays will pass through the body for short amounts of time. 6. 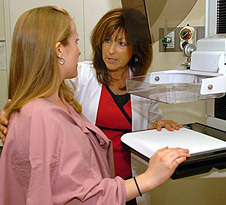 The X-rays absorbed by the body’s tissues will be detected by the scanner and transmitted to the computer. 7. The computer will transform the information into an image to be interpreted by the radiologist. 8. It is very important that the patient remain very still during the procedure. You may be asked to hold your breath at various times during the procedure. 9. The technologist will be watching the patient at all times and will be in constant communication. 10. The patient may be asked to wait for a short period of time while the radiologist examines the scans to make sure they are clear. If the scans are not clear enough to obtain adequate information, the patient may need to have additional scans performed. Please take all morning meds with a small drink of water. If you know you have veins that are hard to find, please drink lots of water the night before to try to help your veins stand out more easily. Drink 1/2 of the barium night before and other 1/2 one hour prior to exam. If you did not receive the barium the day before your exam you will be asked to drink it when you arrive and wait one to two hours before you can be scanned. The technologist will start an IV at the beginning of your exam. IV contrast dye will be injected during your exam so please inform your doctor, before the exam, if you are allergic to iodine or IVP dye. Your doctor may choose to do your exam without the IV contrast dye or give you some medications that will help counter act the reaction to the IV contrast dye. Sometimes your doctor may order these exams without contrast and you will not have to drink barium or have the IV dye. Nothing to eat 3 hours prior to exam. The technologist will start an IV at the beginning of your exam. IV contrast dye will be injected at time of your exam. Please inform your doctor, before the exam, if you are allergic to iodine or IVP dye. Your doctor may choose to do your exam without the IV dye or give you some medications that will help counter act the reaction to the IV dye. No specific instructions are needed for these CT exams.